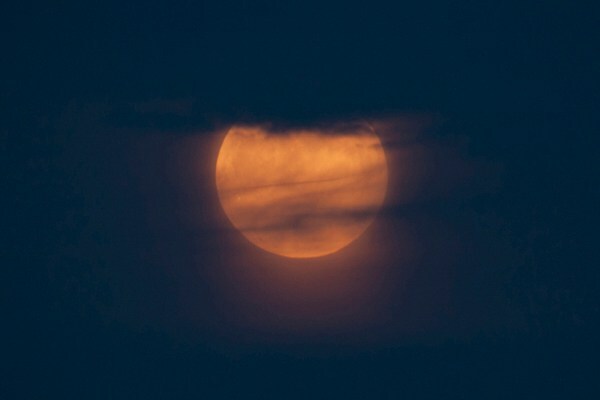 The rising full moon is a shot on many photographers’ bucket lists, but how many of us remember that the moon is even there on those other 28 days of the lunar month? Forget the moon no longer; there are many great reasons to keep shooting the moon throughout its phases. Craters are a fascinating feature of the lunar surface, and they are easier to feature when the moon is no longer full. During a full moon, an entire side of the moon is visible and reflecting the sun’s light back to us. Craters, by contrast, look better in shadow, as this less direct light highlights the differences in elevation on the surface and bring better contrast and definition. 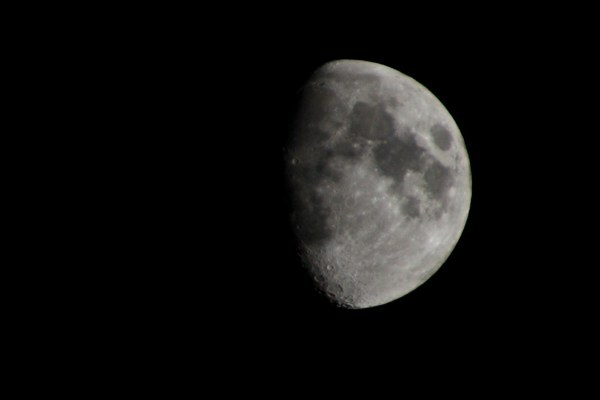 A gibbous moon (the lumpy phase between a full moon and the first or last quarter when the moon looks half full) is an excellent choice for craters. Along the edge where the moon fades into blackness, you will be able to capture the deep shadows of the craters in your moon photographs. As the moon continues along its progression, it will pass from gibbous through the first quarter, and enter the crescent phase. Before the moon reaches its classic, skinny crescent shape, there are also many opportunities to capture it that emphasize the craters. Because the moon is visible at different times of day and night during different phases, you will also be able to capture the different colors of its light. 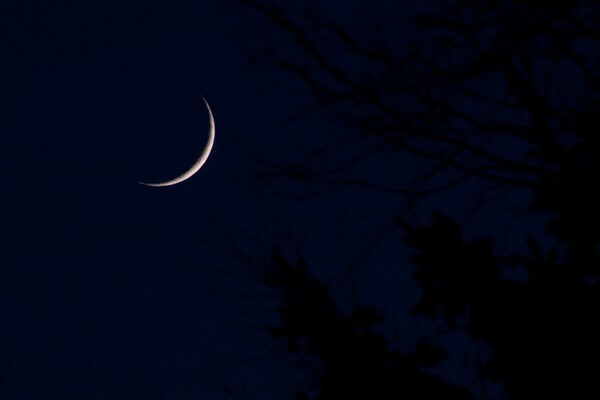 The crescent moon is the phase between the first or last quarter and the new moon when the unlit side of the moon is facing the earth. The crescent shape is hugely significant in many cultures. It is often the version of the moon drawn by children, yet it can be overlooked by photographers. The crescent moon is generally visible during the daytime hours, which can make it more difficult to see and photograph successfully. But, as the crescent reaches its smallest size, you will be able to capture its setting in the early evening, against the brilliant deep blue skies that are well-suited to moon photographs. 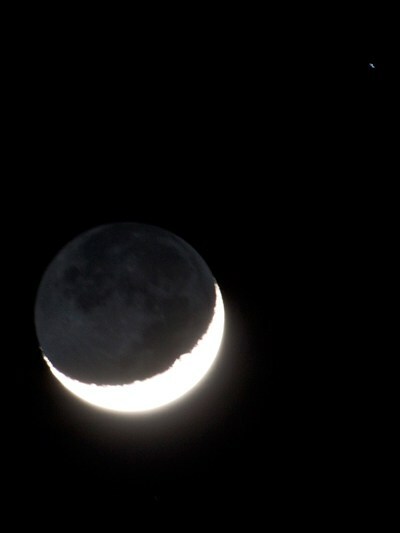 Another phenomenon to photograph with the crescent moon is known as “earthshine”. If you stare closely at a slim crescent moon, you should just be able to see the darkened outline of the rest of the moon’s surface. That surface is dark because it is no longer reflecting the light of the sun. The fact that you can see it at all is because that part of the surface is reflecting backlight from the earth, hence the term “earthshine”. If you want to capture a shot of the crescent moon showing earthshine, you will need to shoot in manual and significantly overexpose the image. The crescent part of the moon will become overexposed (very bright) as you bring out details within the shadowed sections of the moon, which can result in a very unique moon shot. A tripod or a camera with good high ISO performance is critical, as is a longer zoom lens. Try to keep your shutter speed below a second or two, otherwise, the moon will begin to move during the exposure and blur the image. A moon photographed alone, however, is simply a shot of the moon. To really make an impact with your moon photography, regardless of the phase, you need to feature an interesting foreground or background. The two critical components here are knowing the timing of moonrise or moonset and knowing the approximate location of the moon in the sky. The Photographers’ Ephemeris is downloadable software (free for laptops and desktops but a paid app for Apple and Android phones and tablets) that lets you view the moonrise and moonset times (as well as sunrise and sunset times) against a map, which allows you to plot out exactly where the moon will appear in the sky, depending on where you are standing. 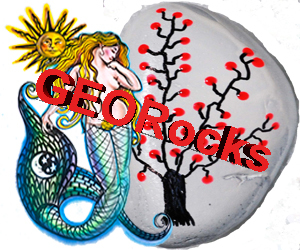 Moonrise and moonset tables and times are also easily available and searchable online. 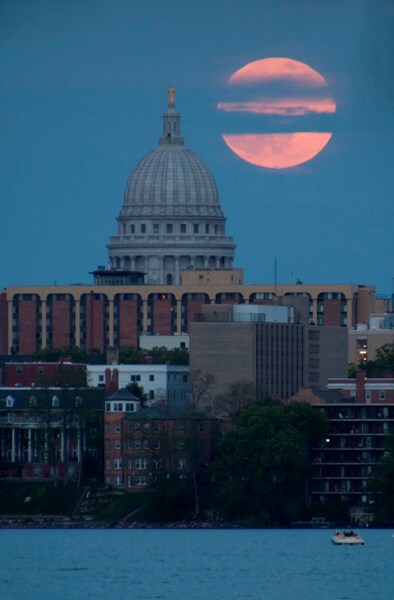 You can use the ephemeris to determine exactly when and where to stand if you wish to photograph the moon rising or setting over a specific place or landmark. You are not limited to only shooting the moon at night. 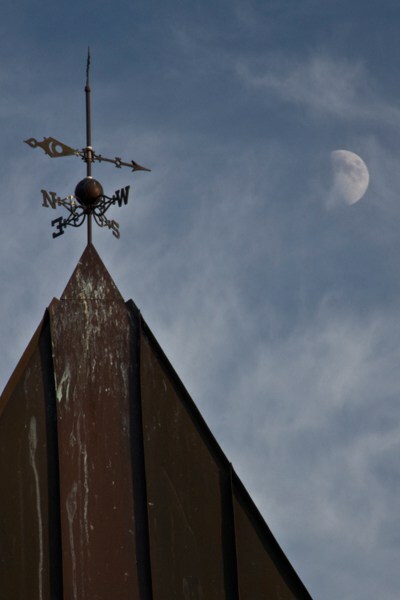 Depending on its phase and timing, you can photograph the moon during the daytime too, which makes it easier to experiment with interesting foregrounds. By walking around, moving up and down, and otherwise changing your perspective, you can ‘move’ the moon where you want it to appear in your final image. The longer the focal length that you can use, the larger you can make the moon look, relative to the other objects in the image. 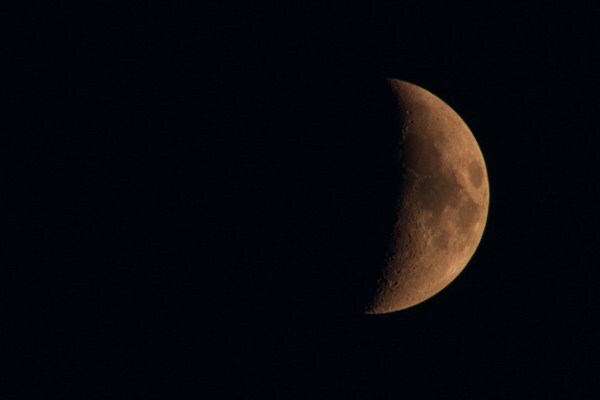 There is an infinite number of variations on moon photography. Do not let yourself be limited by the full moon, only shooting the moon at night, or only when it is rising or setting. Do not let clouds stop you from looking for the moon. Pay a little more attention to the moon throughout the month, and you will find many opportunities for moon photography. 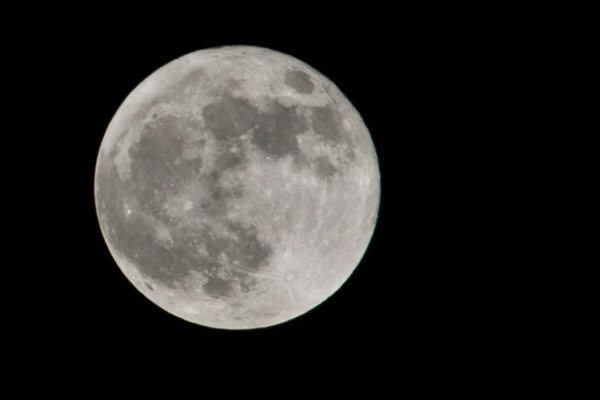 Have you got some great shots of the moon or some addition tips? If so please share them in the comments below!